Are you an avid reader of Jane Austen Novels and long to live the life of Elizabeth Bennet in Pride and Prejudice? Do you enjoy the company of other like minded individuals? This post is for you! I started hosting little costumed get togethers about 8 years ago with friends I met through a local costuming group. It was a lovely opportunity to retreat back in time for just a few hours. Now that we have settled into our new home we have been able to throw a few more Regency and Jane Austen themed evening parties. I always hope they are not too stuffy and have a relaxed atmosphere. We are not pedantic about our group being 100% historically accurate - we prioritize fun over minute details. I like for my guests to feel as though they are in one of the many fabulous Jane Austen novels. So here is a 10 Step Guide to hosting a Jane Austen Evening Party the way we do it. 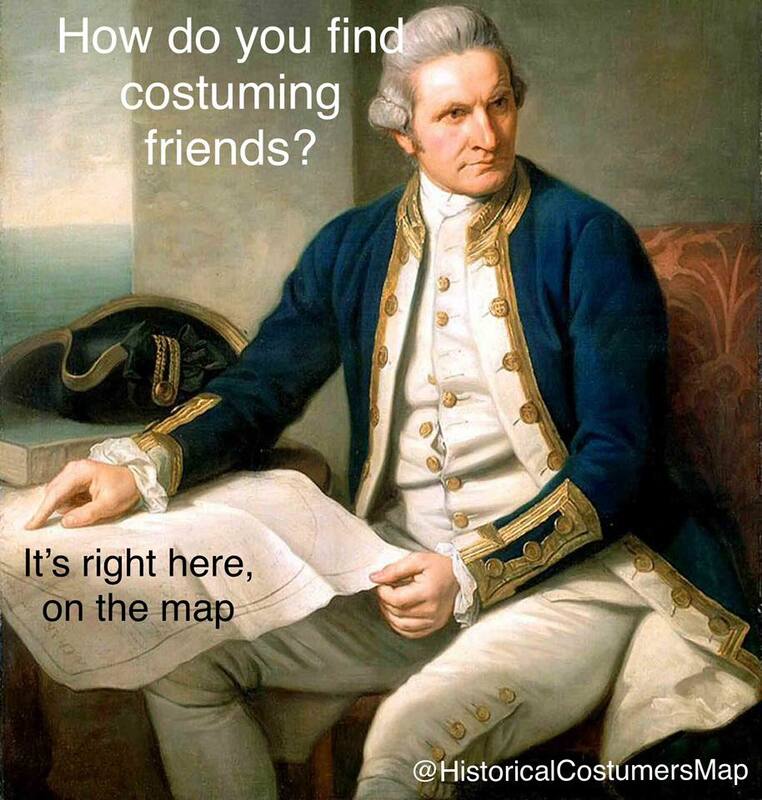 It sounds simple enough but after moving back to Houston a few years ago I knew NO ONE that did any costuming… especially for the c. 1790-1820 time frame. Check out our Meet-Up Page to find a group near you. If you are local to Houston join us next time! Add yourself and let others find you! STep 2: Jane Austen, Georgian Era, Regency Era, Federal Era, Napoleonic Wars …Do you have a theme? A Jane Austen evening party can actually encompass scores of different genres. Most people just getting into this style of costuming automatically think of Jane Austen movies and Jane Austen Novels. Our dear friend, Miss Austen, lived during what was the Georgian Era (c. 1714 to c. 1830–37) and most people associate her writing with the specific Regency Era (1811 – 1820) in England. There was still a whole other world happening around that period and England was just a fraction of it. Don’t limit yourself to calling it a Jane Austen party. In America the time period was referred as the Federal Era, a time when the U.S. was being shaped politically by the Federal Party. It was also the time of the Napoleonic Wars and much of Europe was under Napoleon’s French Empire (where we get the term Empire Dress)… hint hint they all wore the same style of “Regency” dress we are thinking of. I typically refer to my events as Regency because I am fan of the English Regency or Georgian Eras. You can call it what you please. Perhaps gear some of the activities at your party to a specific era or social happenings (or novels)? It is also very important to be mindful about the location you plan to have your Jane Austen party / soirée. If you have a nice sized parlor or living room this most certainly would be a charming place to have it. The room doesn’t have to be huge, but enough space to be comfortable for your guests, with ample seating if needed. Living room is not suitable? Try having your Regency Era party on the patio, weather permitting. Al fresco dinner and evening parties are quite refreshing. Perhaps your friends may take a turn about the gardens (AKA your backyard)?? Maybe your home is not the place for your party… that’s perfectly fine! I have been to many lovely evening gatherings at restaurants and even bars in costume! Search your area for places with period looking interiors or even a private room (if it doesn’t cost anything to reserve). IMAGE 1: very small dinner party of only 5 total in a very small dining room. We later moved to a medium sized living area to chat. At this stage I think I would decide if you want to make this an actual costumed event. If you really want everyone to feel like they are in a Jane Austen movie or novel costumes are a MUST but that doesn’t mean you can’t throw a party or have fun in regular clothes….but it is way more fun when costumed. If you have found your Jane Austen enthusiast friends you probably won’t have too hard of a time coaxing them into an Empire Era dress. If you have attached yourself to a costuming group they probably already have a gown or two begging to be worn on any given day. If this is the case I would suggest you make this a costume required party. It’s so much more fun that way! Did you just start your group? no one has a costume to wear? That’s ok! Let them know costumes are encouraged but not required. If you have already made yours I would still wear it! Seeing everyone in costume in the candle light is truly magical to watch! Ladies fashions for the evening often included finer fabrics in the Empire style and Men wore cutaway or double breasted jackets with breeches. So now that you have found YOUR people (it really doesn’t take many.. 3-4 EVEN ONE OTHER PERSON to chat and play dress up with is SO FUN!) It’s time to make your guest list. It’s important to think about the space that you will be in. This will determine how many friends you will be able to comfortably invite. Have you chosen your home? Think about how many of your new fantastic friends could reasonably fit in your living/dining area for the type of entertainment you are providing. If it’s a small Empire, Jane Austen, Regency, or Federal Era inspired party, with just a bit of chit chat and a few edibles, a cozy living area, den, or dining room sounds charming! If you are planning for people to dance a bit or play some cards perhaps a large den or that patio suggestion would suit better. When you have concluded the perfect number of people that will be comfortable, please consider if you will extend a general invitation to your ENTIRE GROUP OR ACQUAINTANCES, or if you will only be able to have a select few on your guest list. If you have to trim your party count don’t feel bad! You don’t want to make people feel overcrowded or stuffed into a room. My humble advice when hosting a small private party is to invite those that you have great conversation with already, those you would like to get to know better, and those that you think will likely show up to support you in your hosting adventure. Do not forget to include the following: a handsome Mr. Darcy to look at, a Mr. Tinley to enjoy the splendor of the evening with, and perhaps a Willhouby to loathe and love at the same time? A nice and personal touch are handwritten invitations via SNAIL MAIL. That’s right. Through the actual postal service. I promise they are so amusing to make and your friends will be giddy receiving them. Letter writing is becoming such a lost art. When I have time I always try to do this. 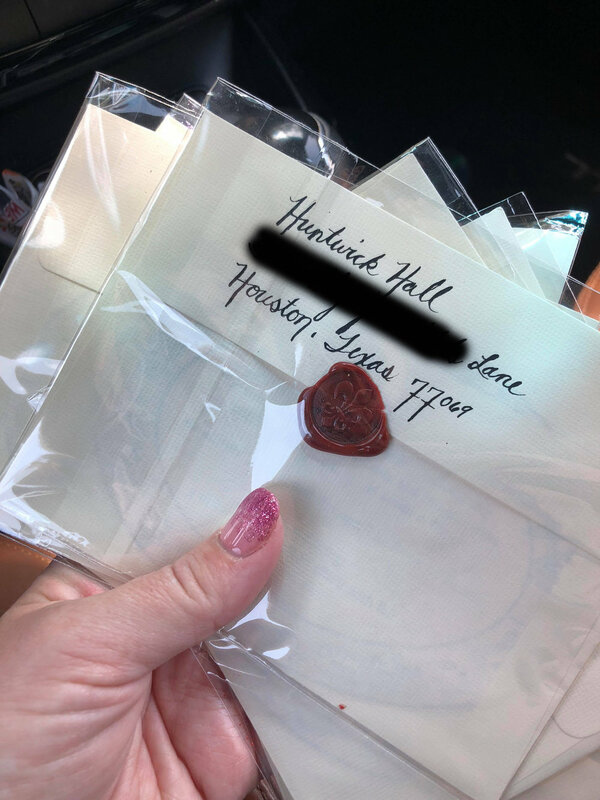 Usually I find an extant invitation from the actual period and either use it as inspiration while making it from scratch in photoshop OR I just blank out the names and dates and fill them in with my info. If you are mailing them via post it is courteous to mail 2 weeks ahead of your fixed date. Move your table to your largest room and move out the sofa/loveseat, arm chairs. If it’s just a social evening (no dinner) keep your living area as is or take out pieces of furniture that you feel out of place. The patio was your choice? Consider putting your actual dining table and chairs outside. Take down any modern portraits or paintings and throw up something super silly you create or thrift (2nd hand stores are the best). ran through photoshop and printed at walmart for $20. Frames are a matching pair my my mother in law had. The end goal is to be super nerdy and have my husband paint actual portraits of us and family for all over the house. STEP 8: Nothing Says Georgian Era like CANDLES!!!!! Sure this could go under transforming your room but I think this deserves its own bullet point. This is a super big one for me when doing evening parties. NOTHING will give you the atmosphere that candles will! The right amount gives off plenty of light. I try to have at least 3-4 on each of the 4 sides of the room. My brass candle stick holders come from thrift stores. I feel like they used to be so much easier to find than lately. I’m hoping that changes now that Marie Kondo has everyone tidying up their homes! CandleLight really made this portrait shine! If you are still reading and have your event date all lined up do not forget about the food! This one area I feel you need to get a bit relaxed on. I tried to do a full meal once. Cooking on top getting yourself dressed and ready for your evening party was super hectic. Try a potluck meal or snack buffet. I think going forward I will always have a potluck party. Everyone enjoys sharing their favorite snacks and it’s more cost effective for you as well. It also saves on having to buy or make too much food if not everyone shows up who RSVPs. You are welcome to have actual food from the period but don’t kill yourself with old cookbooks if that’s not your thing. Cold meats, cheeses, and desserts were common snacks at evening parties. We usually do a meat and cheese tray (sometimes I get extra fancy and put out my favorite Merlot flavored cheese), and one or two desserts like madeleines, tea cookies, or something similar. Your friends may surprise you! Recently my sweet friend Mrs. Graham, who I met just through creating my Houston Area Regency Society, made a LEGIT 12th Night Cake from scratch for our 12th Night Party this month. It was so fantastic and tasted divine! I have been an avid collector of serving dishes for awhile. I had to de-hoard myself in 2017 but that didn’t stop my collecting. I try to find things at the thrift stores that look to the period. Plain white dishes, blue and white serving plates, and of course plated silver. I also inherited a lovely fine china set that I know use for tea, snacks, and meals >> ask those mothers and grandmothers to finally break out the china to be used more often! Drinks of course will follow with food. If you aren’t of a drinking age, tea is wonderful option or a crystal pitcher of water set out for your guests. If you are able to serve alcoholic beverages I ask that guests each bring a bottle of their favorite drink to share with the group. We typically have one bottle open at a time (sometimes one bottle of wine and one of champagne!) This lets everyone have a glass to try of that bottle and cuts down on the number of bottles left open and not finished at the end of the night. Keep your solo cups at home! Let’s talk about about how to serve drinks. At a recent party I thought I would play at asking each guest if I could get them something to drink (bringing out each beverage in a crystal glass), but I fell behind and my friends headed in the kitchen to find random cups. I was mortified! Ok not mortified but I wanted everyone to be carrying a sparkly glass…..that I got from the DOLLAR TREE! Yes that’s right. My large crystal glass cups were $1ea. making the 12 glass set $12. I have one other set of very small glasses that I love serving champagne from that I found at Ross (Dress for Less) for I think $11 a set. Try to be mindful of empty glasses to offer more wine or water to your guest and take up finished glasses or plates to the kitchen as needed. Do you have songbird amongst your friends? Or are you a closet opera soprano? Perhaps you know a little Beethoven to charm your guests. Entertainment with singing and musical instruments. We have one talented piano player in our group that has delighted us by bringing a well-concealed and portable keyboard to play Georgian Era music. A card table set up to play cards is a nice diversion. Here is a primer on the game of Whist which was super popular at evening parties in the Georgian Era. Any modern card game is also fun. Have a nice size room? There are multiple variations of the game Blind Man’s Bluff that were played during this period….which would could be super fun and a bit dangerous with candles! During the 12th Night Party I thought playing a game of charades would be an interesting way to spend the evening. Of course the way they used to play it in the early 19th century is NOT how we play it today. In Jane Austen’s day it was a game of riddles. I am TERRIBLE at word play and riddle games so we went with modern-day charades (where you pantomime a word or phrase) and it was SO MUCH FUN! Everyone had a blast! Join my mailing list to get a printable set of Regency and Napoleonic era words to get you started! Sign up with your email address to receive our newsletter and printable charades starter set for free! Thank you for subscribing! I’m excited to share new posts and handmade projects with you! Enjoy this free print out of charade ideas for your next party! Print the set and be sure to know what they each mean. As the host/hostess of your party you will more than likely not play at guessing but you can have a turn performing! Your guests may need help with some phrases or characters/places to be able to act them out. You will then fold each slip of paper and place into a bowl or receptacle of sorts for party-goers to pick from. At Our next party I plan to include a silhouette screen for silhouette making. There is a lovely scene in the 1995 version of Sense and Sensibility where Marianne is working on a silhouette of Willoughby at an evening party. Dramatic readings from your favorite Jane Austen Novel are also an amusing choice for entertainment. Mary Shelley books, Vanity Fair, many other authors, and a variety of poets from the time period to choose from will give you endless possibilities. OR you can simply enjoy everyday conversation. Most of our conversation leans to art, literature, culture of the period, and of course fashion and current sewing projects. Perhaps take a turn about the room with your arch nemesis or watch your Mr. Darcy write his letters? My biggest piece of advice? >> HAVE FUN and don’t take the evening too seriously. 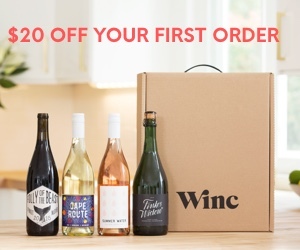 Enjoy your wine and company. *a few images on this page were courtesy of Mrs. Graham.